Blog It’s true, your boss is a psychopath — UNCOMMON KNOWLEDGE? From the weekly, always insightful, Boston Globe Ideas Section, I give you this week’s UNCOMMON KNOWLEDGE [their capitalization, not mine]. This section usually provides a hodge-podge of nuggets from the social sciences. Watching the news some days, you’d think a lot of companies were run by psychopaths. And, according to a recent study, some might well be. One of the authors of the study was hired by companies to evaluate managers — mostly middle-aged, college-educated, white males — for a management development program. It turns out that these managers scored higher on measures of psychopathy than the overall population, and some who had very high scores were candidates for, or held, senior positions. In general, managers with higher scores were seen as better communicators, better strategic thinkers, and more creative. However, they were also seen as having poor management style, not being team players, and delivering poor performance. But, apparently, this didn’t prevent some of them from being seen as having leadership potential. Who keeps promoting these clowns? Interesting to note it was in the top 5 most emailed articles of yesterday’s [06/20/2010] Boston Globe. I wonder if people were read and emailed the article in anticipatio of another week trying to figure out what to do with their psychopathic boss? Here’s a link to the abstract this study was quoted from Corporate psychopathy: Talking the walk; Paul Babiak, Ph.D., Craig S. Neumann, Ph.D., Robert D. Hare, Ph.D. Unfortunately, like most things Wiley Publishing has, this is only an abstract. But you may be able to sleep better at night with a full-access view of Managing Psychopathic Employees from Cornell HR Review. Is this organizational learned helplessness an effect of promoting technical experts with little people skills? I don’t know. But, now on to something to provide hope. The End of Men – Women are dominating society as never before. Earlier this year, women became the majority in the workforce for the first time in U.S. history. Most managers are now women too. And for every 2 men who get a college degree this year, 3 women will do the same. For years, women’s progress has been cast as a struggle for equality. But what if equality isn’t the end point? 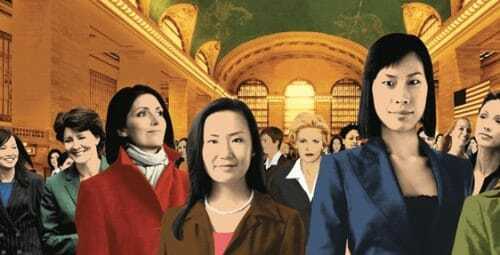 What if modern, postindustrial society is simply better suited to women? A report on the unprecedented role reversal now under way— and its vast cultural consequence. Is it too much to hope that women manage the organization world better than us psychopaths? Sadly, like begets like. I'll put down a dollar saying the pychopaths currently being promoted, will simply promote female psychopaths into management positions. the systemic flaws in who we promote, and how, and why, are not gender biased. A certain personality type will prevails when promotion decisions are made. In order for a change agent to be promoted, those who are already in positions of authority must want the change to happen. If not, we'll be left with more of the same. How many leadership books, how many communication seminars, how many webinars, how many consulting companies exist just to help create an environment of safety, because, as most know, without safety, there is no motivation. I can’t begin to guess why there are so many trying to help so many, but so many still in need of so much help. Or worse yet, not practicing what they are learning or aware they are the issue. People tend towards stasis, I just can’t believe management principles of the pre-World War II industrial landscape are still the default management principles today.Good luck to all of us to maintain the reliability to try to highlight an alternative to paternal, fear-based leadership. This will make your life miserable if that is the behavior of your boss. I do not know if it is comforting to know there are off-kilter personalities that drive many to a fit of nervous tics or now that there are views and studies more people strive to achieve the clearer behaviors ‘success’ looks like: meaning more people both progress or regress to the mean. Either way, Paul, looks like when your life is miserable, the symptom, we have a better idea of the cause. To make some sense of the madness you might find the book Games Primates Play: An Undercover Investigation of the Evolution and Economics of Human Relationships, I started reading a week ago, as interesting as I do. I did a quick piece on it in my Fast Start series: Why your boss really is an ape. Now, what are the options? We could flip the coin and focus a bit more on the art of possibility which has a video that inspires far more than conspires. My father says, “the high road is a lonely road”. What can we do to make the high road a road more traveled?